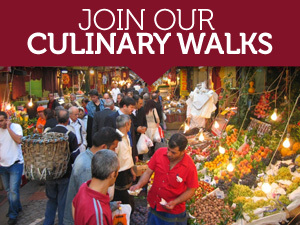 We like to think of Istanbul’s Grand Bazaar – open since 1461 – as the world’s oldest shopping mall. 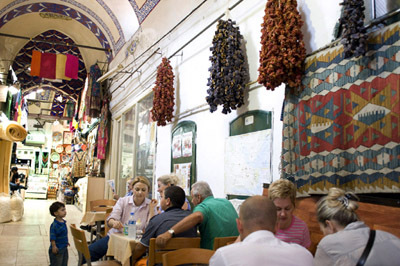 If that’s the case, shouldn’t the Grand Bazaar be home to the world’s oldest food court? 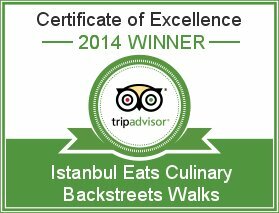 That may be taking the analogy too far, but for us, the Grand Bazaar can be as much a food destination as a shopping one. As we see it, one of the hidden pleasures of going to the bazaar (once you get past the overzealous shopkeepers hawking souvenirs) is exploring some of its quieter back alleys and interior courtyards for new dining possibilities, especially some of the smaller restaurants that cater not to tourists but rather to the locals that work in the sprawling marketplace. Click here for a list of some of our favorites. 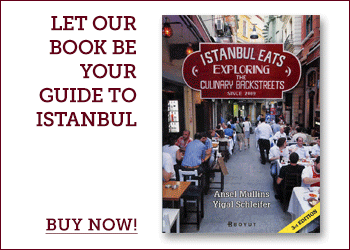 I clicked on the list for recommendations in and around the Grand Bazaar – but nothing attached. I would love to see the list and see if one of my favorites is there. Try it again. The link works. Just tried it and it worked for us….strange.